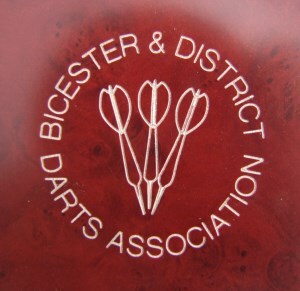 Welcome to our website, here you can find all information related to the Bicester & District Darts Association, including up to date results, tables and qualifiers for all competitions. Our headquarters are at the Highfield Social Club, George Street, Bicester, Oxon. OX26 2EE. Teams from clubs, public houses and other organisations within a 10 mile radius of our headquarters are welcome to join our league. We play on Friday evenings, teams consist of six players competing in singles and pairs matches. The latest news can be found on our Facebook page, see link at bottom of the page. There are also links to contacts and other information about our members. SUPPLEMENTARY CUP RESULTS Go to ' Competitions ' then Supplementary Cup.